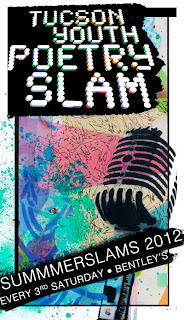 Continuing the energy of last month’s slam, it’s time for our 3rd Annual Family Slam! The focus is our families, those we care about, love and thanks! 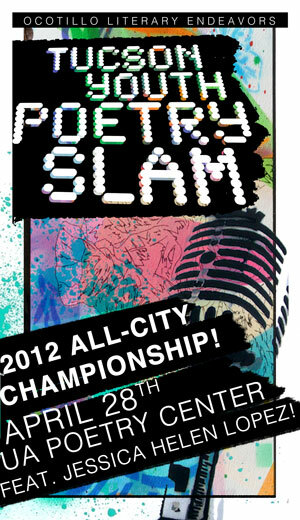 Bring your mom, your dad, your guardian or close friends cause this is for them! Every family member in attendance will receive a raffle ticket for some amazing prizes! Don’t forget our spotlight poet this month will be the one and only Emma A, winner of the November slam! Also, co-featuring for the first time, Sarah Gonzales and Logan Phillips, co-directors of Spoken Futures, will be gracing the stage! Music will also be a part of this slam as we have our very own DJ Kikazo Garsooz, who will be providing the flow of the slam with some jams! Get excited for an eventful and marvelous night! Led by Sarah Gonzales and Logan Phillips! Featured poets: SARAH GONZALES AND LOGAN PHILLIPS! Sarah Gonzales and Logan Phillips are the Codirectors of Spoken Futures, Inc, the organizational home of the Tucson Youth Poetry Slam. 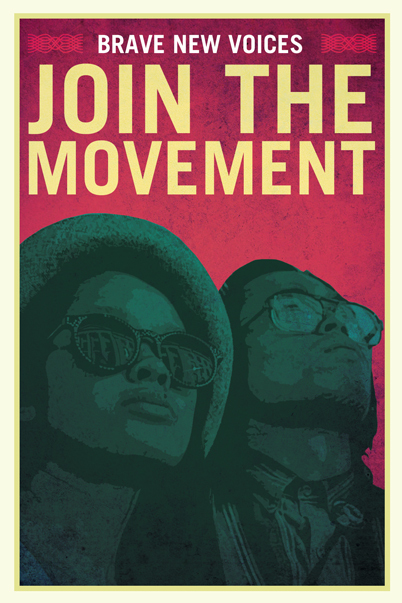 Their experience and passion for art and social justice activism have brought them together in diverse collaborations since 2009. They are ecstatic and overjoyed to hit the TYPS stage together for their first-ever co-feature. 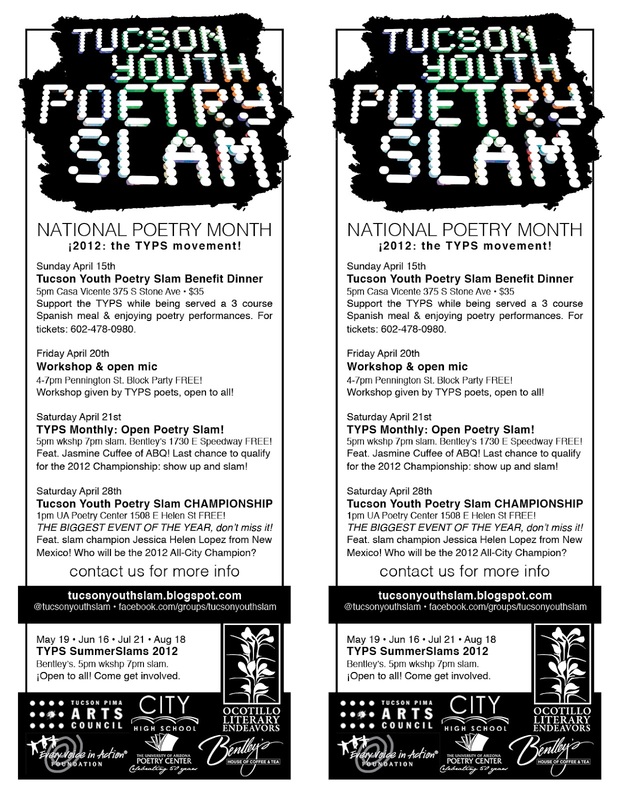 The TYPS has become a significant part of their chosen family––it only fits that they are the featured poets at the Third Annual Family Slam! 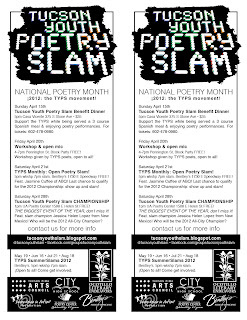 Reminder that this month’s slam is on the SECOND Saturday, and not the third.